Are You an Atrial Fibrillation (AF) Catheter Ablation Candidate? Are You a Candidate for a Catheter Ablation? Home | Can Afib Be Cured? | Catheter Ablation | Are You a Candidate for Catheter Ablation? 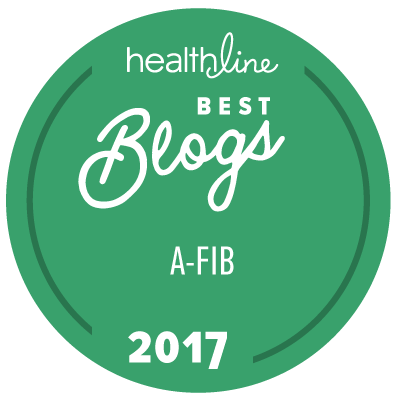 Are you battling common symptoms of atrial fibrillation, such as irregular heartbeat, heart palpitations, and rapid heart rate, and wondering if you are a candidate for catheter ablation? Generally catheter ablation is not first line treatment for atrial fibrillation, according to the HRS Expert Consensus Statement.1 The Heart Rhythm Society, which is the medical association for doctors who specialize in arrhythmias, recommends catheter ablation when a patient has afib symptoms that do not respond to at least one antiarrhythmic drug or when a patient cannot tolerate medication. Catheter ablation is also recommended for some afib patients who have heart failure or a reduced ejection fraction. Catheter ablation may be a first line treatment for some athletes who have atrial fibrillation. A patient's desire to stop taking anticoagulants, such as Coumadin (warfarin) or Pradaxa (dabigatran), is not a factor in the clinical decision for whether a patient is a candidate for catheter ablation. From a practical perspective, catheter ablation patients are generally under 80 years of age and have a left atrium of normal size, though a dilated (enlarged) left atrium will not always exclude you as a candidate. Your doctor will also check to see how much blood fills your left atrium (atrial volume) during the cardiac cycle and whether your left ventricle is working normally. Having high left atrial volume or left ventricular dysfunction may not exclude you from having a catheter ablation but the procedure success could be lower. Learn more about predictors of catheter ablation success. It's important to seek treatment sooner rather than later, particularly if you are still having afib episodes while taking antiarrhythmic medication . That's because atrial fibrillation is a progressive disease. If afib is not treated, patients can transition from paroxysmal atrial fibrillation to persistent atrial fibrillation and eventually to longstanding persistent atrial fibrillation. The greater the severity of atrial fibrillation, the harder it is to cure. At first, afib activity is focused in the pulmonary vein region, which is the starting point for afib for over 90% of patients with paroxysmal atrial fibrillation. For most people with paroxysmal afib, ablating the pulmonary vein region terminates the afib, although more than one catheter ablation procedure may be needed. However, if left untreated, afib can create new pathways for it to cycle, or perpetuate, in the heart. Often these new pathways or entry points are in other areas of the heart, so atrial fibrillation activity is no longer focused in the pulmonary vein region. Over time, this also changes the structure of tissue in the heart (atrial remodeling). Catheter ablation has lower success rates treating persistent and longstanding persistent atrial fibrillation because of atrial remodeling.1 To learn more about why persistent and longstanding persistent afib are harder to treat, see Can Catheter Ablation Successfully Treat Persistent Atrial Fibrillation. If you are on anticoagulants, such as Coumadin (warfarin) or Pradaxa (dabigatran), you will stop these anticoagulants shortly before your catheter ablation. You should discuss with your doctor whether to continue or stop your other medications. If you are in afib at the time of the catheter ablation, you will likely have a transesophogeal echocardiogram (TEE) or computed tomography (CT) scan to determine if blood clots are present. If so, you will not be able to proceed to catheter ablation. During the evening before your procedure you won't take any food or liquid after midnight. To learn more about catheter ablation procedures, see What to Expect During Catheter Ablation. Disclaimer: Some organizations mentioned on this site may be donors to StopAfib.org but do not receive favored treatment in coverage as atrial fibrillation patients are our first priority.